There are plenty of online applications that don’t take more than ten or fifteen minutes. So if yours is lengthy and redundant, a candidate is likely to give up or not bother at all. Make sure your applications are as short as possible, glitch-free, user friendly and accessible on all devices including mobile. Also, make sure all your online job applications as well as job advertisements contain appealing details about your company’s brand and culture that will draw in job seekers. 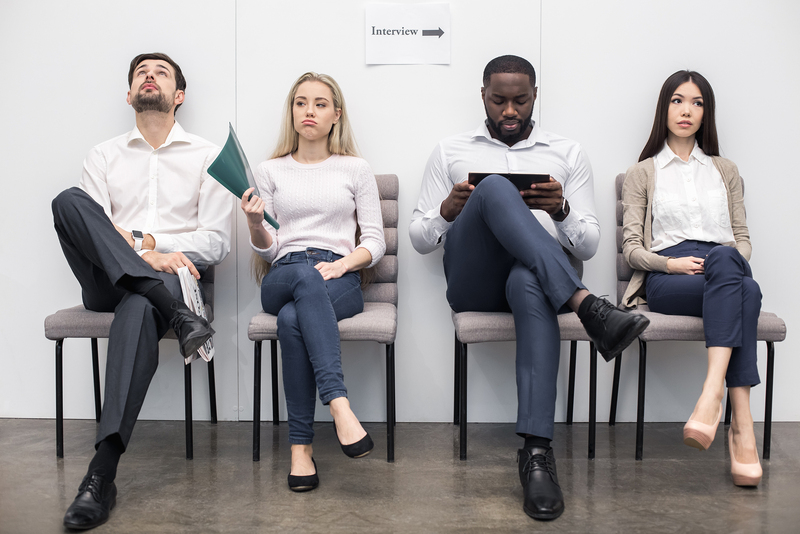 One of the most important candidate experience best practices that will reduce the job seeker’s aggravation even if they don’t get the job is to be as transparent as possible about the hiring process. Communicate with job seekers that apply to your company as frequently as possible and keep them updated on where they stand with your company. Find a way to clearly explain what the next steps will be, and when they can expect to be contacted again by you. Give them an idea of how your interview process goes as well, such as if there will be multiple interviews or group interviews. Give each candidate a comfortable and memorable experience during the interview. If the candidate has to wait after they arrive for an interview, be hospitable by offering snacks and beverages. Give the interview a personal touch by tailoring the questions to the candidate. Since they have likely taken time to learn about your company, show that you have done the taken time to learn about them. One of the most important candidate experience best practices that you can use in interviews is creating questions based on their specific strengths, career goals and what reasons they gave for their interest in the position. It’s possible you may have candidates that aren’t qualified right now to work for you, but they will be with a few more years of experience. Regardless of whether they apply to your company or not again, one of the candidate experience best practices that will help them with their future job search is giving both positive and negative feedback. Be courteous when giving negative feedback, and as specific as possible on what the candidate can do to improve their weaknesses. Once you determine a candidate is an ideal fit for a position at your company, you don’t want to risk losing them by not putting enough thought into the job offer. For job offer, candidate experience best practices that are important to remember include being transparent and explaining why you decided on the salary and benefits you are offering them. Also, show that you have the candidate’s best interests at heart. Show enthusiasm and gratitude for all of their time and effort during the hiring process. Even if they don’t accept, they are likely to walk away with a positive attitude about your company. If a candidate has a bad experience applying to your brand or during an interview, you could be losing a potential future employee as well as a potential customer. To protect your brand, here are some candidate experience best practices your company should follow.